If you work on an adventure playground of some description, you may have an idea of what I mean by ‘playground time’. Maybe there’s the equivalent of ‘playground time’ in any place where children occupy a particular site for any significant period of a day. That’ll be an observation or being-in-the-moment for a future occasion’s study. For now, I’m calling it ‘playground time’. I’ve written about it before, here and there, and I wanted to return to it today in more detail. I’ve been flitting in and out of the playground this summer. Some days over the past few weeks I’ve worked at a playscheme for children with learning difficulties or physical disabilities; some days I’ve worked with younger children in the local parks; other days I’ve come back to the playground. I have always sort of known of some kind of playground time (even before I was working in such places, and when I didn’t have such thinking processes as now passing by): there is time that is sort of ‘out of the ordinary focus’ of the usual adult day-to-days. When you’re in and out of it, as I have been lately, there’s a resettling process, a re-absorption, that can take place. This summer, early on, there were some difficult days. Some older children sucked up all the energy of the place. Maybe there are eddies that form, leaving holes that you can’t see through or beyond. Run with that for a little while: when I feel like I’m in a treadmill of hours of anticipating anxieties or fire-fighting on the playground, going from one ‘what-now?’ to the next, I either forget to see the whole or I can’t see it so well any more. What happens in the younger children’s play, in the quiet children’s play, in the corners of the playground, in the forming dens, in the in-betweens and what-might-be? All of this gets swamped when in crisis mode. Now, summer has eased itself into a kind of flow. That is, playground time has kicked in, as a whole, and in the individual days. We’re past the mid-way point of summer, and although some playworkers, some days, seem to be running on sugar fumes, or taking extra breaks because they’re needed, the particular anxieties of the first few days have left for a while. Relationships between children and between children and playworkers are flowing in that ‘just pick up where it was left off yesterday’ kind of way. When I’m in and out of the playground, over days, I have to potter around for a little while, in the morning, before the children come in; I have to re-tune to the greater whole of playground time that I feel my colleagues continue to be in because they’re already immersed to some degree. This is a personal affect, I know, because I like to catch the feeling of the whole of the place (or, as much of it as I can absorb in any one go, which takes some perceptive ‘letting in’): the re-tuning process may not affect a colleague in the same way. I don’t know. When I’m not in the playground time flow, I realised recently after half a session, I ‘see’ only twenty feet or so around me. Things pass me by. That is, I see things going on beyond that radius, but I don’t pick up on them so well. When ‘in’ playground time, I see the far side of the playground and I sense when certain children are or aren’t on-site; I can better anticipate the play that’s forming; I can leave better alone, let things unfold without undue intervention, taking a dynamic risk assessment consideration in trusting the children I’m observing. When ‘in’ playground time, I can feel the way that lulls and agitations form and peter out. Time seems to have a different texture to it. This works across days as well as in the day itself. It’s not that it stops and starts, but rather it’s always there and I have to hook into it. Relating to certain individual children (or the ‘how’ of all of that) shows my position in playground time to myself. One of the older girls lives in a block just down the road from the playground: she’s recently come back to us after a period of choosing not to come. Over the summer, she’ll come by and tell small moments of her life. She came into the office as I sat poking around on the computer. The door was open to all the play sounds of the hall and playground beyond. She sat and we just talked. Another boy flopped down on the sofa outside the office door and said, matter-of-factly that he’d been coming for five years now, implying that he’s part of the furniture and that he practically works there. Playground time works in small and continued ways. Another older boy, who’s also just returned after a period of choosing to stay away, has played table tennis outside practically every day, game after game. There seems to me to be an absence in time if he’s not there. I watch on, each day I’m on the playground, as two Italian children navigate their ways through either prolonged stays at the pool table or intricate navigations around the hidey holes of the whole place (in the case of the younger girl, leading and being led by a friend by the language of play and an ever-evolving system of gestures and in-between language vocalisations). There is another sub-plot forming in the place, which is the gentle jostling for peer group leader status, now that the usual older group aren’t around for a while. It leads to different ways of playing, different spins off one another. In playground time, I observed how three children struggled amongst themselves, in the rain, to construct a roof of carpet between parts of the platform structures that have been added to the original recently. I watched on carefully from a distance, and peripherally, thinking how they might slip, but seeing how careful they were being, how they were helping one another, how they could evidently see the possible hazards because they were arranging things. It was a careful standing back, and not a presumptuous and unnecessary intervention. In playground time, in the pouring rain, I see how the children seem to love the new waterslide. There is no time. Everything happens when it needs to happen. This includes the way that (beyond my twenty feet radius of ‘not being in it all’ days) I see the way my colleagues are working with and for children at the periphery of my sight, bringing and fetching resources, being in and around the kitchen, sitting and talking with children, arranging the hose for the slide, and so on. Playground time is flow, for sure, but it’s also part of the myth-magical dimension of the playground: there is a narrative that takes place in the forming moment, which is part of days and weeks. Playground time is the continuing story of the place where the play happens. In the overall story there are many, many stories taking shape and bubbling away. When one child comes onto the playground, we often call him by his chosen nickname. When another child asked me why we call him that, I said ‘because, last summer, he used that one word all the time, and so it stuck’. When I talked with a couple of boys last week (feeling quite protective of the girl they were targeting with water balloons), I told them how she was targeted so much last summer. In playground time, I can see how one older boy is flourishing because he has space to express himself these past few days; I can see how certain individuals’ presences brighten the place when they return after some days away; I can see how certain children’s creative play gradually smears itself across the playground. The playground too, in playground time, is a shifting creature: it twists and turns in its ever-changing shapes and forms. The moving built environment around the play moulds that play in some ways. I wonder how much the children feel playground time in these ways I describe above. There is a window, some days, when some children seem to feel the imminent coming to an end of that day’s play on-site. They’ll ask what the time is. Playground time fractures a little towards the end of the session: sometimes there’ll be agitations forming and bubbling over, where play was all flowing along before this. Of course, if seen literally, playground time is gone for the day when all the children have eventually left the site, but it seems just to be in stasis, always sort of there, when the summer flow has kicked in: the next day, though there’s quite often a period of poking around at the start of the new session, play and flow picks up somewhere close to where it was the previous day. Being out of it, for any significant period, can be a little disorientating for this playworker. The stories of the narrative whole can be picked up again though, but it takes a little morning drifting (litter picking, floating around picking up bits of wood, looking out for signs of play that has happened here, maybe, whilst scuffing around in the wet grass). 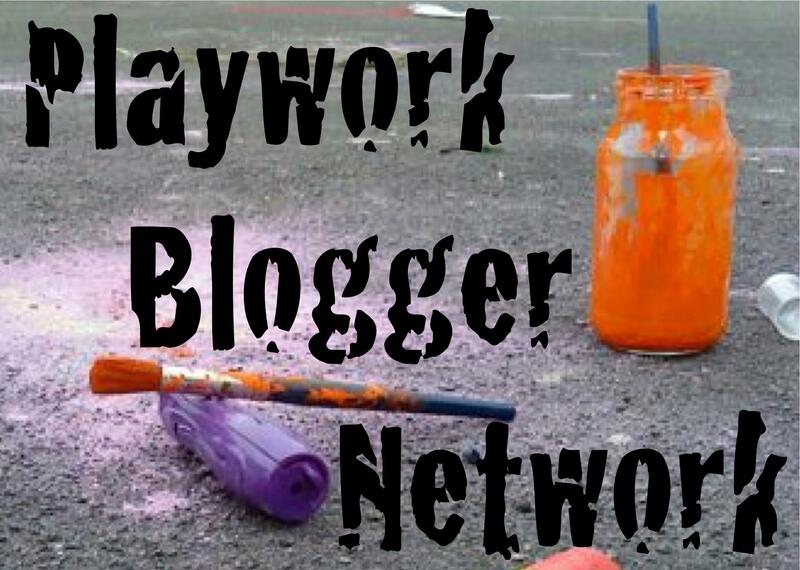 Play and playworking, perhaps, follow similar arcs in and of time. Something strange happens to time when you’re hyper-focused: it doesn’t reel out in quite the same way as the norm. ‘Time’ seems to be one of those themes in this writer’s writing: something that recurs. Here, I’m thinking about the time in a talk-discussion given/entered into, and I’m thinking about what I’ve previously called ‘playground time’. Firstly, and again, thank you to Lauren at the South London Gallery (SLG) for inviting me to explore (an indulgence for me) on many of the lines of my current thinking, this past week via the monthly Play Local talks. I’ve still yet to process everything that was said, and that wasn’t said, that evening, but it’ll come. The kick-start for this particular piece of writing here is a story I told at the SLG talk. I told the tale of Beowulf, or my own oratory version of it, but it was told at length, or so it seemed. Perhaps it did go on for a while, but when I checked in with the clock soon after, nothing of the time I’d thought had passed had actually passed. It’s the same, or similar, often on the playground. When the children are playing, when all is as fine as it is and can be in that moment, when I check in on the clock just to see out of curiosity, time has a habit of being strange. This is kind of the opposite of ‘time flies when you’re having fun’. Last week the sun was shining again. We have been spoilt these past weeks after summer has bled into the start of the new term. It’s had its positive affects on the children, or so it seems. I remember standing in the middle of the playground, as the play has happened, sometimes slowly, sometimes in bursts of action, sometimes ponderously, and I remember this on several occasions, and I thought how ‘very now’ it all was. This isn’t the phrase my ‘in the moment’ thinking took, exactly (I don’t even think there were words at all, as such), but there was the sentiment of ‘very now-ness’. This is both something I’ve written about before, here, and something I thought about maybe bringing up at the SLG talk, though I didn’t because it wasn’t the discussion that was forming. 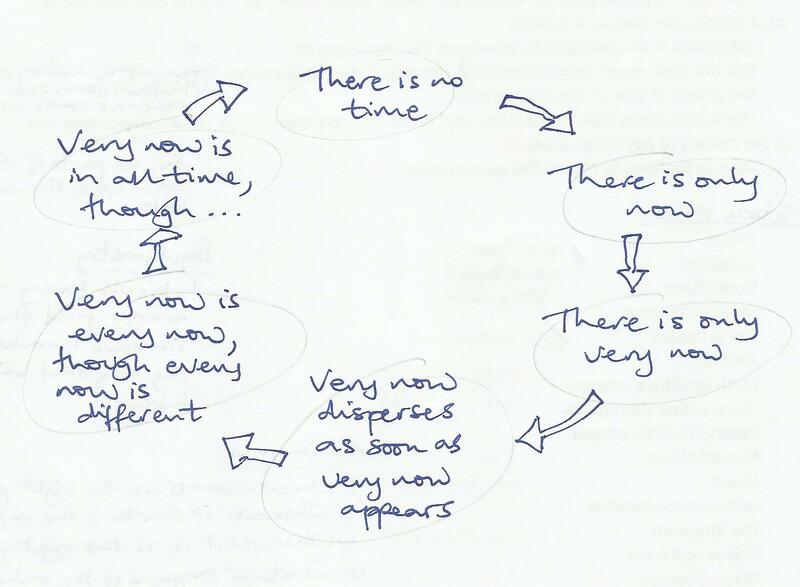 So, here I am revisiting the ‘very now’. When I stand in the middle of the playground and I see the children scatter, on coming in from school, like (in my current writing simile, though not in the thinking of the then as it was) they’re pieces of paper released, I feel the ‘very now’ but without the words to describe it as such; I feel it when I see the children wandering around tucking into fat ‘fish finger and ketchup’ sandwiches, or when I see them engrossed in experiments of squeezing the end of the hose pipe to see which way the water goes, and how far, in the hazy sunlight; I feel the ‘very now’ when I watch the intense concentration of one boy, one day, as he carefully dissects an old computer with a screwdriver, peering into its innards from close quarters as if inspecting the very essence of its life-force itself. I don’t know what time’s doing in the heads of the playing children; what time does in me is something strange though. Nothing at all else matters. If I’m in a story, as I was when I wasn’t thinking about what I was saying or was about to say next when telling Beowulf, or if I’m observing the play that is happening and not thinking about the play that was or will be, there is no time. This isn’t to say that in these moments I’m not thinking: far from it, but I don’t have the words still or perhaps ever. I’m reminded of something else said at the SLG talk: I was told, from the perspective of one seer there, that once you start trying to define this thing we’re calling magic, it loses its magic, or it isn’t there. She pushed away a tea cup! It’s like this. When I’m on the playground, and if I try to define what this ‘very now-ness’ is, as it is, there, it may cease to be. So, I try now with words to describe what I shouldn’t be trying to describe, because then, what I’m trying to describe gets lost. Perhaps this is a particular problem of ‘those who see play’: ‘those who never will see play’ can’t be swayed because there are no words succinct enough. Yet, we try. Perhaps what we should do instead is smile benevolently (though some will no doubt see this as patronisingly) and not say anything at all. That’s difficult when you believe in something so strongly. Perhaps we should show this ‘seeing play’ by sitting and ‘just seeing play’. Others might follow suit, you never know. When you bother to look you just might see. I had thought about telling another story at SLG, but never did. It was a brief version of Ernest Scott’s telling of Baba Ram Dass (formerly Dr Richard Alpert) when he trekked into the Himalayas to meet the guru sitting in the field. Scott writes that Alpert, as he then was, wanted to know what the whole deal was about LSD and that he thought the guru would know. The guru, an old man who’d never experienced such narcotics before, apparently, took several times the ‘starter’ dose, and Alpert waited anxiously for the inevitability of the after-effects. Nothing happened. The guru didn’t need the drugs: he was already there. So the story goes. You can connect your own dots . . . When I’m hyper-focused on the play, or in the discussions, or in the thinking, or in the moment of the moment that is, there is no time. There is only ‘very now’. Stories help to fill in the edges of what we can’t fully describe, but ultimately what we feel, in the moment, should be acknowledged. All stories are true: they become things in themselves; moments, though, are tea cups that can disappear.